When you are accustomed to shooting on location, you can name a spot or two that may lend itself to the client. But sometimes, the best location is where the client lives. This was the case with the Schwindt family. 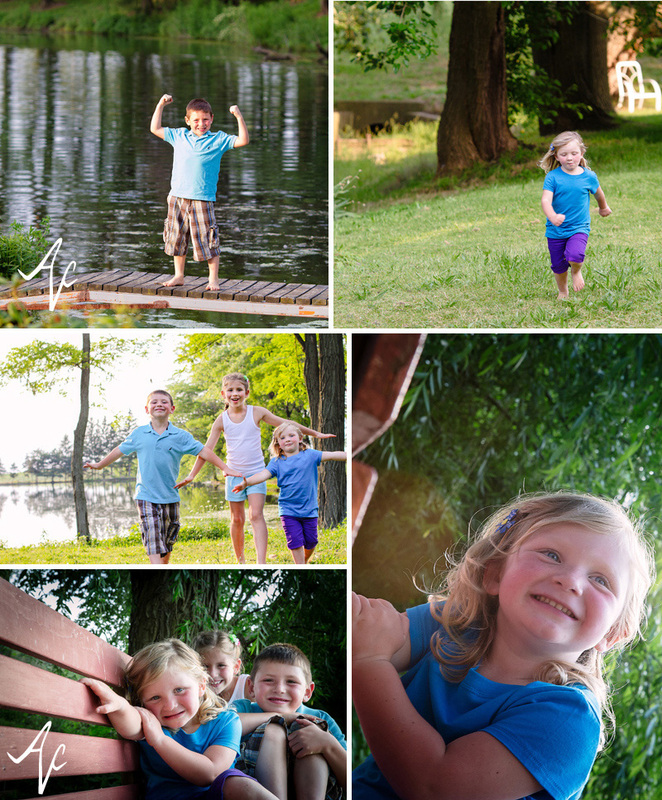 When we agreed to meeting them in Northeast PA to photograph them along nearby ponds and vineyards, we had no idea they meant their home. What a beautiful place to grow up! We started our shoot just outside their front door. 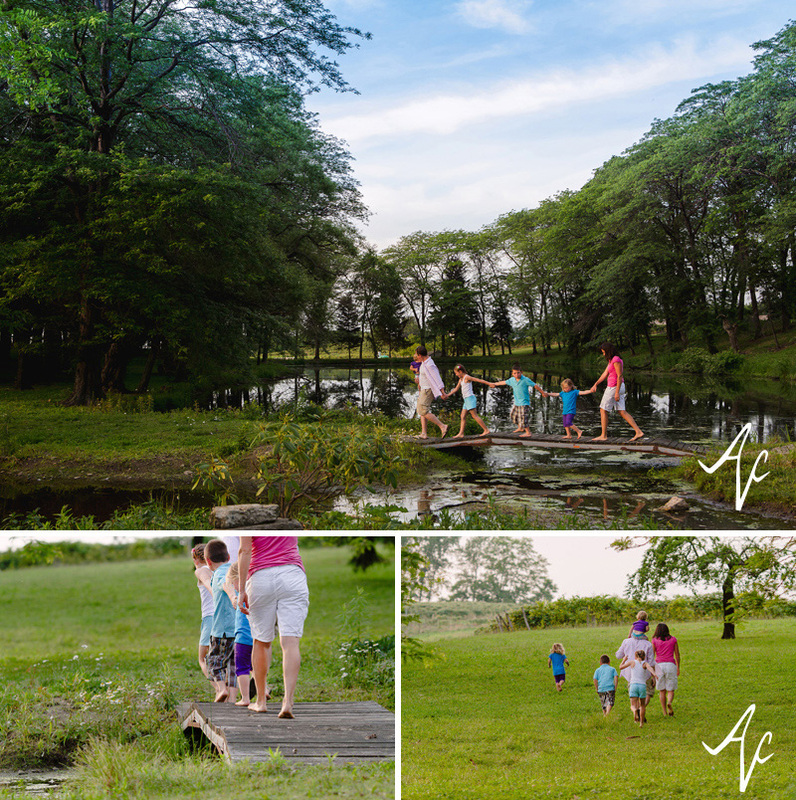 Our next stop was a nearby pond across the road where the kids felt completely at home, keeping to their usual tradition of running barefoot. 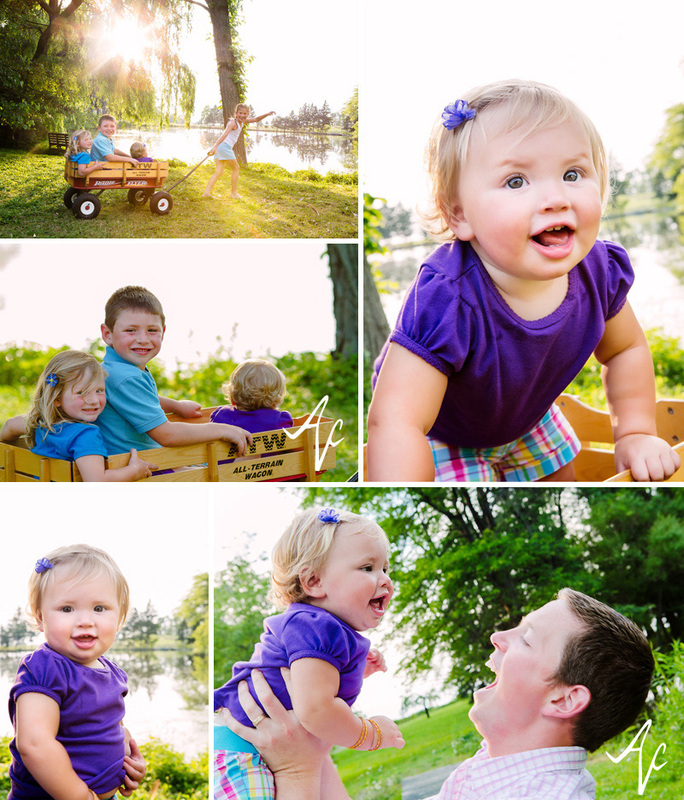 After some fun and formal family portraits, the little ones were ready to run again. So we continued our adventure on the other side of the bridge, between the pond and vineyards. 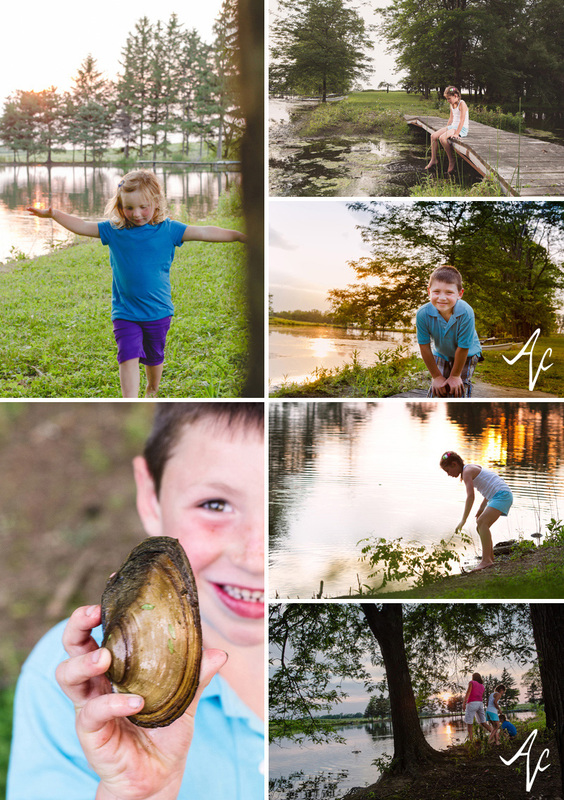 The family enjoyed skipping rocks and even found an oyster to show off! 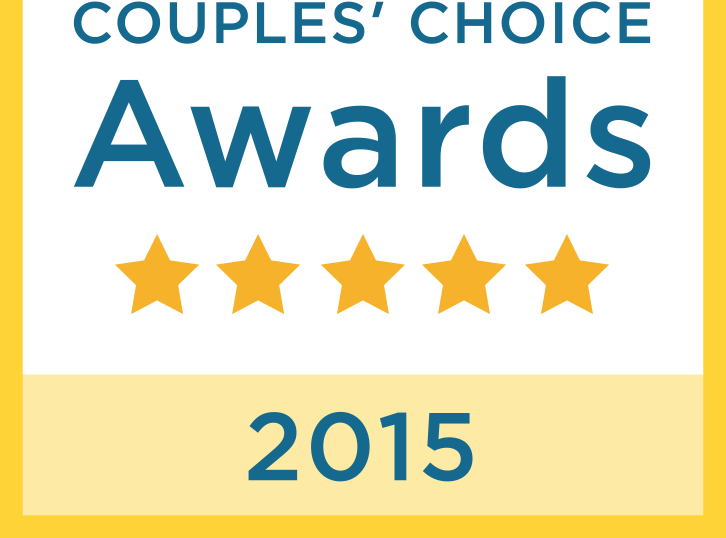 We caught a few shots of mom and dad exchanging hugs and kisses. Four kids later, they still have that spark! Not too long after, the kids were ready to do more of what they loved the most - running! We were just wrapping up when we caught sight of the sunset, and asked for one more pose (in exchange for another chance to run). So glad we did - we love this one. And what a great way to end this post. 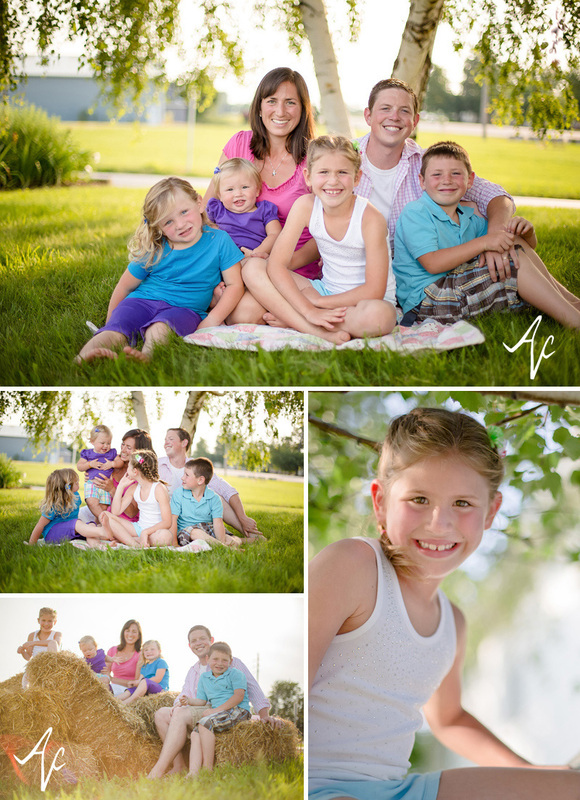 Schwindt Family - we had so much fun with you! Thanks for a great shoot!